This exhibition consisted of fifteen Thomas Moran prints and two Moran engravings. Artist Thomas Moran (1837 – 1926) is often considered the pivotal figure in efforts to make Yellowstone a national park. In 1871, he accompanied F.V. Hayden’s geological survey of the area as guest artist and worked closely with photographer William H. Jackson. 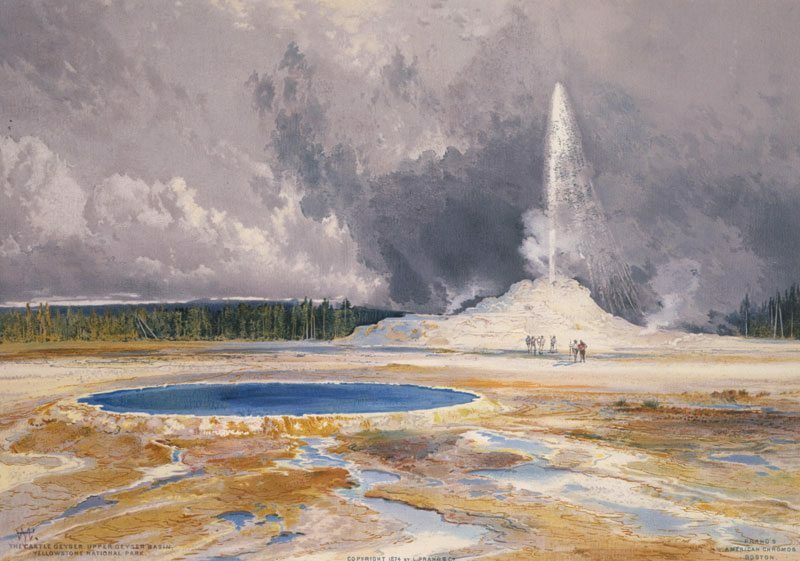 Ostensibly, Moran painted the extraordinary sights of the Yellowstone region, and Jackson’s images proved they existed—in case there was any question about Moran’s interpretation. In the mid-1870s, Boston chromolithographer Louis Prang commissioned Moran to provide scenes of the West for his The Yellowstone National Park and the Mountain Regions of Portions of Idaho, Nevada, Colorado, and Utah, a publication in which he recreated Moran’s work as color prints. Because Prang’s printing technique was revolutionary—chromolithographs are prints to which color is applied in the printing process—the resulting images were clear and vibrant. 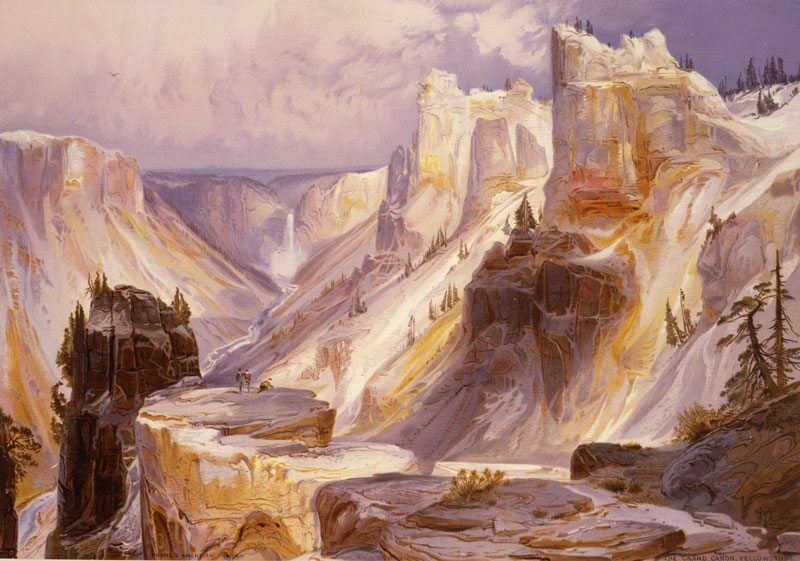 The idea was that Prang’s “portfolio” would bring images of the Yellowstone area and western mountains to a larger audience and inspire many to travel West.